← One of These… is not like the Other? It's A New Pic, Thanks Gang! Traveling around over at the Boyd’s place, a unique checklist posted by Matt caught my attention. This is really worth taking a few minutes to ponder. 1. Am I content with what I have and the circumstances of my life or am I striving for more and more? 2. If everything in my life was taken away, all of my material possessions, and I had nothing but Jesus Christ would I still be content? 3. Am I living as if I am taking nothing with me when I die? 4. In my life does Jesus look like an all-satisfying treasure? 5. Can I rightly distinguish between my needs and my wants? 6. What is tempting me to treasure it more than I treasure Jesus? 7. Am I discontent with the things of this world, yet content with where I am in my relationship with Jesus? 8. Do I live like I trust and hope in things or like I trust and hope in God? 9. Am I generous, ready to give and willing to share? 10. Am I living and giving in a way that shows it is more blessed to give than to receive? 11. Does Jesus have all of my life? Contentment is not primarily about money and things. It is primarily about being satisfied with Jesus and treasuring Him above all else. As many are aware, Matt and Gayle are preparing to carry the gospel of Jesus Christ to Senegal as missionaries. I would like to encourage you to take a moment and visit their site and keep them lifted in prayer. 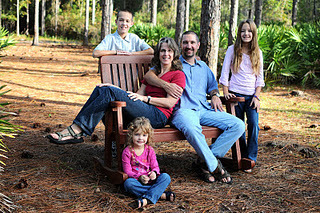 This entry was posted in Missions and tagged Boyd family, Christianity, faith, missions, Senegal. Bookmark the permalink. That is a fabulous list! Those questions…I need to ask myself those questions every day! This is something that I need to print out and put where I can easily see it each day. Thanks for posting that. An excellent post! Good questions for self examination as one year draws to a close and a new one is on the horizon.